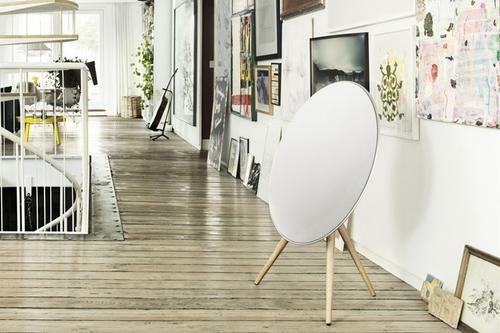 The Bang and Olufsen Beoplay A9 is an extremely stylish and versatile music streaming system. To call it a speaker is downplaying the technology behind this beautifully designed piece of engineering. It looks and feels like a designer object, yet, it is functional as well. It pairs with all digital devices and aims to give a full sound experience across a range of music types. The best part is that it comes with built-in music streaming platforms like Spotify Connect as well as TuneIn allowing you to start playing your favourite playlist or radio station in a matter of seconds. It also allows for customised options allowing you to change the wooden legs as well as the cover fabric to suit your home.